I was looking for an app where I could schedule a message. With this app, I can schedule a message, but it doesn’t show up in my Messenger feed. Plus I have to look to places for messages. One thing that android has over Apple. 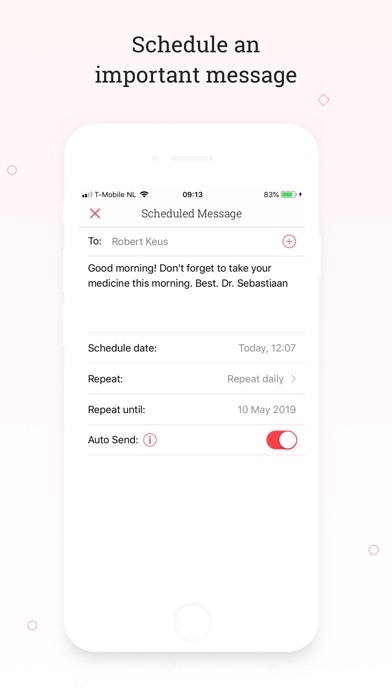 You can schedule messages directly from the message app. This app only sends scheduled messages if you sign up for a monthly subscription. 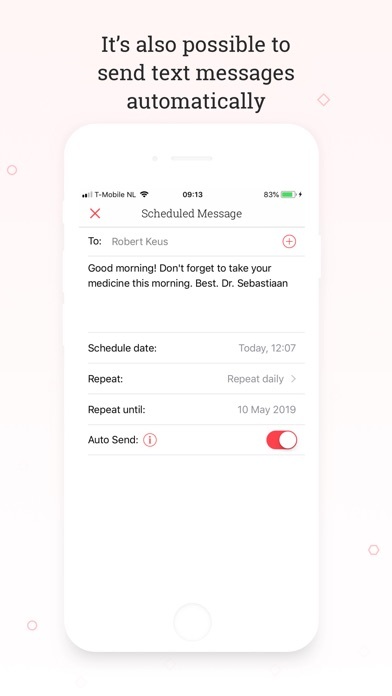 Next, when it send that scheduled message it doesn’t send from your own number. It sends from some number that the app company has. 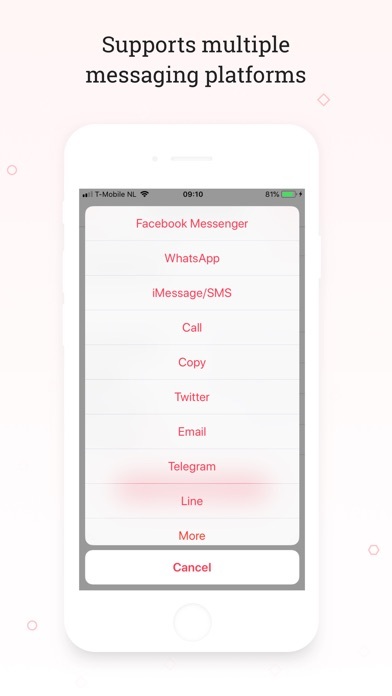 Many people filter or don’t open messages from unknown numbers. It would have been nice if the app actually sent the message from your own number. I will not be using this app anymore and have deleted it. App does not work seems to have glitches not allowing me to even sign up for it Big Problem this company does not care about their customers. They have no customer training skill I would recommend you to find another service. You can’t automatically send a text at the time you want, it only reminds you to send it. The only thing that’s free on here is the setting to remind you to send a message, but you can already do that with the reminders so it’s useless. If you want to use the app to auto send you have to pay $3 a month. Wait, it doesn’t send automatically? I’m not paying for this if I can just set a basic reminder on any number of utilities apps, then either send a draft on the phone number originally or copy and paste from notepad. The designers have clearly missed the entire point. Intentional due to policies perhaps restricting automatic text messaging? 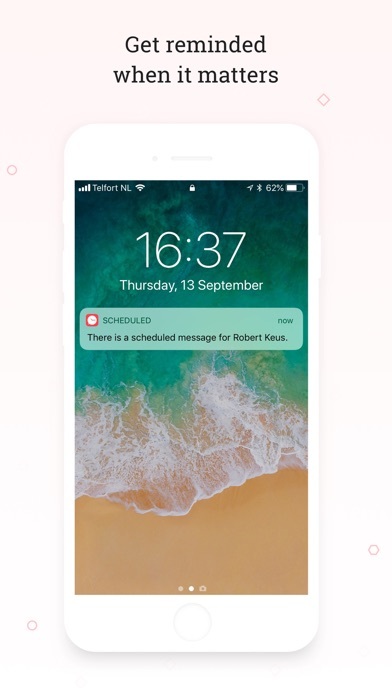 You have to upgrade to the paid version if you want it to send a message that you schedule. Otherwise it's just basically a calendar that reminds you when to send a message. This app is useless unless you want to pay. Otherwise just use your regular calendar if you need a "reminder"